Local programs will honor Vietnam-era veterans, commemorate World War I and more. Observances of Veterans Day will be held across Hillsboro and western Washington County on Sunday, Nov. 11. 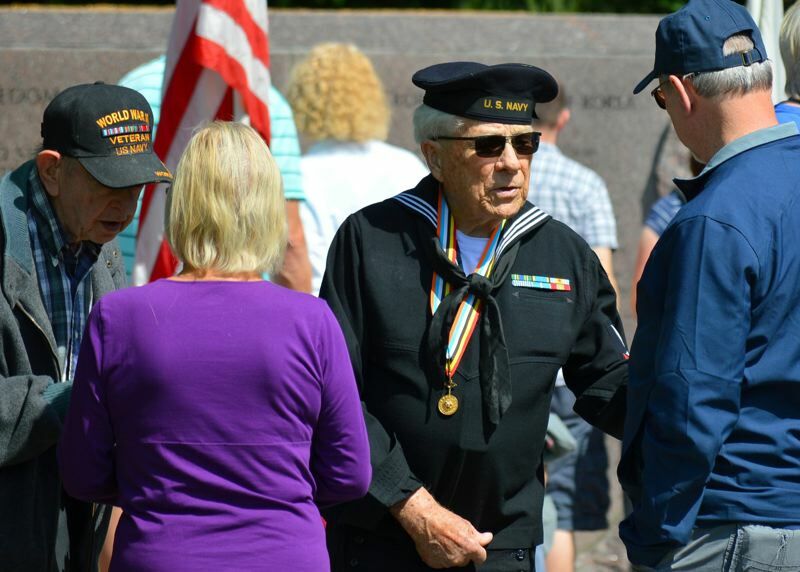 Washington County will hold its annual Veterans Day ceremony from 11 a.m. to noon at the Washington County Veterans Memorial, located at Northeast Veterans Drive and 34th Avenue in Hillsboro. The keynote speaker for the county's event will be Brig. Gen. William J. Prendergast of the Oregon National Guard. Dale Pack, commander of Veterans of Foreign Wars Post 2666, will serve as host. The event at the Veterans Memorial will be held rain or shine. Covered seating will be available. The focus of the event is on Vietnam War veterans. This year marks the 50th anniversary of the Tet Offensive, a campaign often seen as a turning point in the Vietnam War. About 8.7 million Americans served during the Vietnam War era, according to the U.S. Department of Veterans Affairs. Of them, approximately 60,000 American service members died in the war or remain missing in action. Vietnam-era veterans will receive Vietnam Veteran lapel pins, provided in partnership with the United States of America Vietnam War Commemoration. Also at 11 a.m., American Legion Post 2 and the City of Forest Grove will mark another milestone this year: the 100th anniversary of the armistice that ended hostilities in World War I. The American Legion and Forest Grove Fire & Rescue, among others, will toll bells to commemorate the armistice. All are invited to come and observe, or to participate with their own bell-tolling. "A toll is one solid strike of the clapper, then allowing the bell to attenuate in a natural manor until inaudible, then waiting a minimum of five seconds prior to the next strike of the clapper," American Legion Post 2 Commander James Clute explained. "This action is to be repeated 21 times (similar to a twenty-one gun salute)." The last known American veteran of World War I died in 2011. No veterans of the war from any country are known to be living. More than 4.7 million Americans served in the military during World War I, according to the Department of Veterans Affairs. More than 53,000 are known to have died in battle. The Forest Grove Elks will also participate in the tolling of the bells. At the Forest Grove Elks Lodge, located at 2810 Pacific Ave., an early dinner for veterans and their families will be held at 12:30 p.m. Dinner is free for veterans. Several American Legion and VFW chapters are coming together with the City of Cornelius to co-host a public Veterans Day celebration at 1 p.m. at Veterans Memorial Park, located on Baseline Street between 12th and 13th avenues in Cornelius. The keynote speaker for the Cornelius event will be state Rep. Paul Evans, a Monmouth Democrat who served in Iraq and Afghanistan with the U.S. Air Force. Cornelius Mayor Jef Dalin will also give welcoming remarks. Outside the Forest Grove Senior & Community Center, members of the Forest Grove Daybreak Rotary Club will unveil a "peace pole" inscribed with a message of peace in several world languages at 3:30 p.m. This commemoration is open to the public. Rotary District 5100 Governor Larry Hatch is slated to speak at the peace pole commemoration. Members of VFW Post 2 will also be in attendance. The peace pole will join several others that have been placed around Forest Grove.